It started in 2002 as a passion for clean, modern European inspired furniture. Today, we have become one of the leading cabinet manufacturers and wholesalers in the world. We design and build contemporary, full-customization cabinets for small and large projects, especially for multi unit developments. We love building affordable frameless cabinets with high quality carb2 compliant woods from America and Europe. Our 20,000 sq ft warehouse is based in San Francisco, CA with an annual production capacity of over 10,000 kitchen cabinet sets. We carefully cut and build each set from our made to order custom shop and aim for a 2 week lead time. Yep! Only 2 weeks. We also offer one of the largest selections of RTAs (Ready To Assemble) in the market, flat packed and ready to ship. 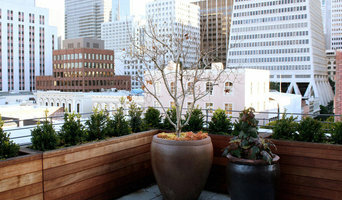 Stop by our our showroom in San Francisco or call us today. From modern Italian crafted to moderately priced traditional cabinets, we offer a variety of styles and finishes to choose from. We work directly with you, your contractor, or your interior designer to order and install cabinets tailored specifically for your needs. We only work with quality cabinet brands, and hire seasoned professionals to ensure a quality product. Contact us today to get started on your cabinet project. We partner with many different vendors to offer a variety of custom cabinetry options that can fit any project size, from a small bathroom vanity to a full set of kitchen cabinets. We carry a wide selection of cabinet lines to fit your style and budget. Our modern Italian crafted cabinets are the latest in luxury with distinctive features that set them apart, such as motion censored cabinet lighting. Looking for a durable, middle of the road option? We have those too. Visit our showroom to see our cabinetry options in person, or schedule an appointment to speak directly with a cabinet specialist. Stephen Day Design specializes in the design, fabrication, and finishing of custom cabinetry and wood furnishings. We work directly with homeowners and commercial clients, as well as with design professionals and contractors, to create specialty casework, furniture, architectural elements, and sculptural objects. Our products are designed and handcrafted in our Oakland, Calif. studios using the highest quality and most environmentally responsible materials and techniques available. We look forward to working with you! Europa Cabinets is a custom cabinet shop located in the beautiful city of Livermore, California. We take pride in hand crafting each product one at a time. The process begins when each piece of material is hand selected. We use high quality lumber and the best joining techniques around. We are able to match finish and style of existing furniture in your home. We pride ourselves in combining old-world craftsmanship in today's modern world! 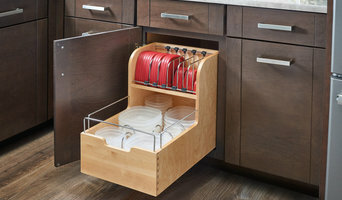 Europa Cabinets & Woodworks is built upon generations of woodworking traditions and techniques. Jonathan grew up in the woodworking industry as his father and grandfather both were carpenters. At age 14, Jonathan balanced high school along with attending a wood working apprenticeship where he worked his way up from a journey man to becoming a team supervisor. This internship program awarded Jonathan his Master Woodworking degree in 1998. Although his passion was in woodworking, opportunities led Jonathan into other aspects of the construction industry for several years. Finally in 2004 Jonathan had the courage to build his own company and create Europa Cabinets & Woodworks. In 2006, Jonathan became a state licensed General Contractor. Most recently in 2013, Europa Cabinets & Woodworks became incorporated by the State of California. 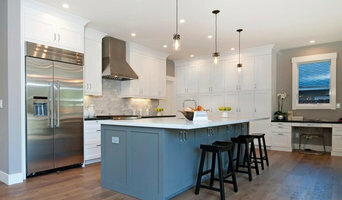 SF Custom Cabinets specializes in designing and manufacturing high-quality custom-made wood cabinetry for use in both residential & commercial applications. 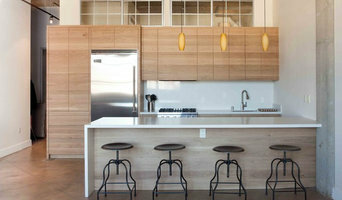 We are Custom Cabinetry Manufacturing Professionals in the San Francisco Area. Bay Area and Beyond Custom Cabinet Manufacturer. Best of Houzz Winner. We offer solid wood kitchen cabinetry and bathroom vanities at competitive prices. A place where you can come to have the BEST service and experience for your remodeling project! We are a full service design and build company. Give me a call and I can help you see how easy your dreams can come into a reality! Benicia Home Improvement Center inc.
At Benicia Home Improvement Center, we treat your house like a home, not a job site. We know how disruptive remodel work can be, and it's our goal to make our remodels less invasive than your average renovation. We would never install anything in your home that we wouldn't be happy having in any of ours, and by keeping our labor in-house, we can guarantee quality assurance. We've been serving the Bay Area community for 16 years now--providing in-house design and installation services as well as retail sales. We can provide as much assistance as you need as you turn your house into your dream home. Schmitz Woodworks is a full-service, locally owned, custom woodworking shop. We design, build, finish and install kitchen cabinets, bathroom vanities, entertainment centers, mantels, bookcases, murphy beds, and home offices for both remodels and new construction. With 15 employees and a 10,000 sq. ft. manufacturing facility in Watsonville, California, we offer superior quality cabinets for your home or office. The Schmitz Woodworks team has provided design, building, install and finish services to residential and commercial customers in Santa Cruz, Santa Clara, and Monterey counties for over 25 years. We take great pride in every project and will continue to provide quality service and fine cabinetry for many years to come. Award Winning In - House Kitchen and Bath Designer at Gilmans Kitchens and Baths, Kitchen Design, Bathroom Design. Independent Interior Designer (Owner) of Reflektiv Design Studio for residential and small business. Focusing on Interiors and Decor. We are a complete architectural millwork shop. 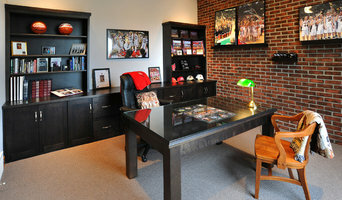 We specialize in custom cabinetry and custom millwork. We are craftsmen at heart with a sense of design. With over 50 years of experience, our artisanship and business etiquette combine to provide you with exceptional service held at the highest standard. Your home is unique and we work to bring you custom cabinetry that meets your specific vision. Carpenters Cabinetry & Millwork provides innovative and durable Closets and Cabinetry Storage Design Solutions. Our quality workmanship ensures complete customer satisfaction with each and every job.